It has been a fair few years since P&O/North Sea Ferries brought in really interesting charter ships – back in the ’70s and ’80s there were things like the Stena Normandica and even the Viking 6 but more recently refit cover has been provided merely by ro-ro ships. 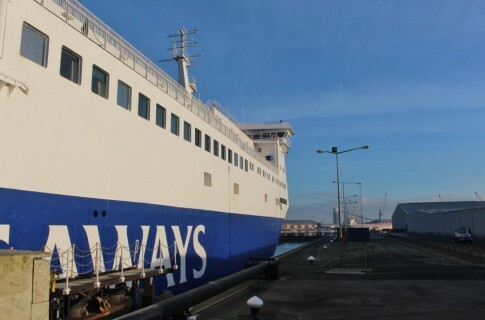 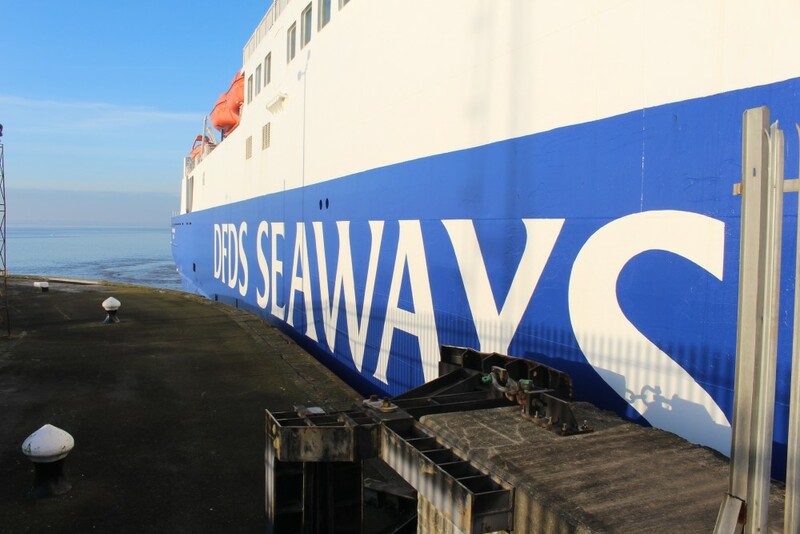 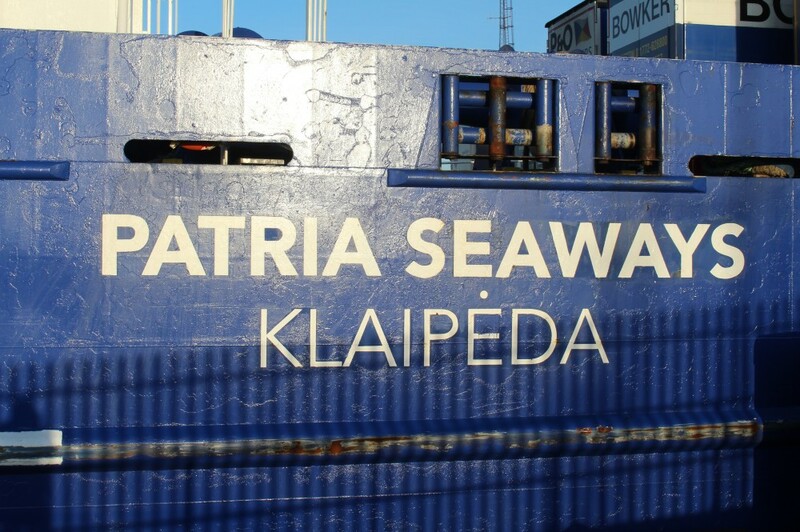 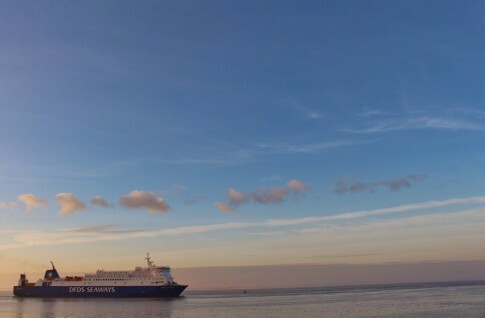 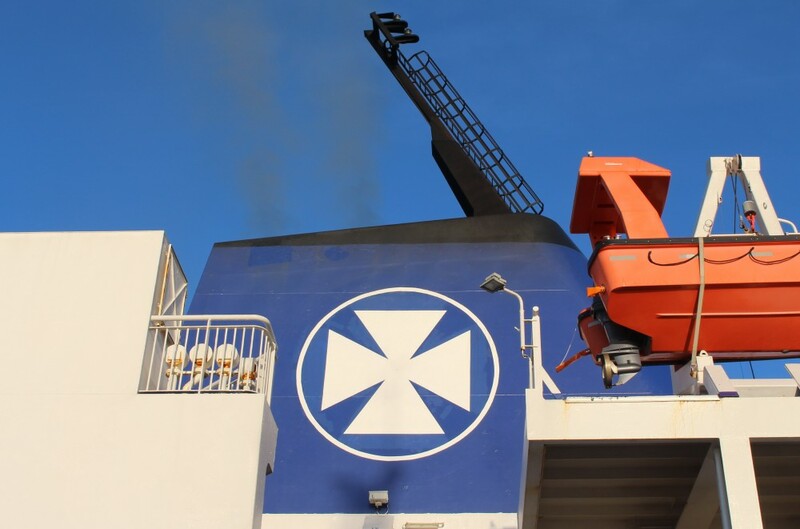 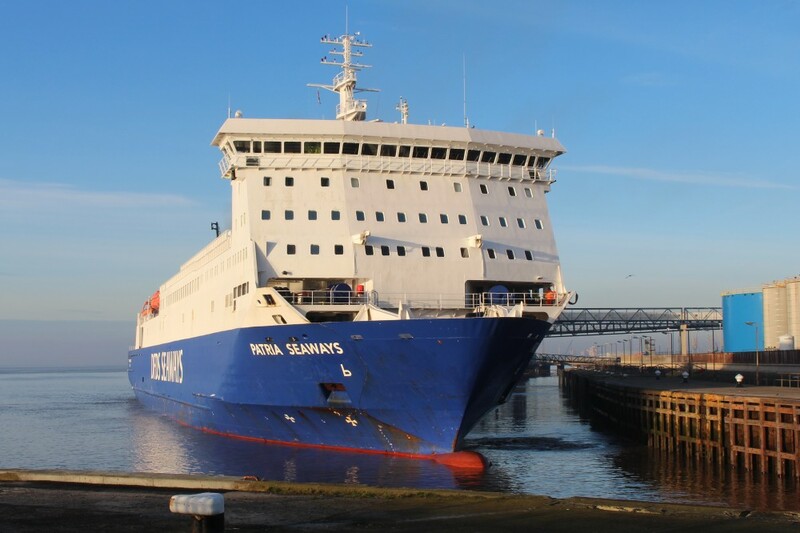 For 2016, however, things have been varied a little with the charter of DFDS’s Patria Seaways (ex-Stena Traveller). 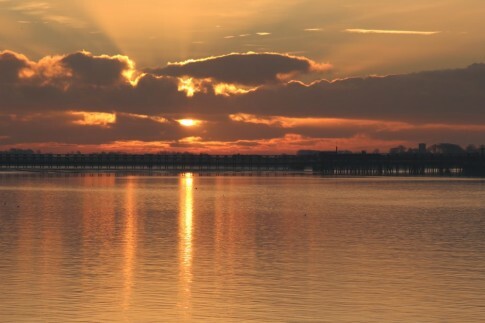 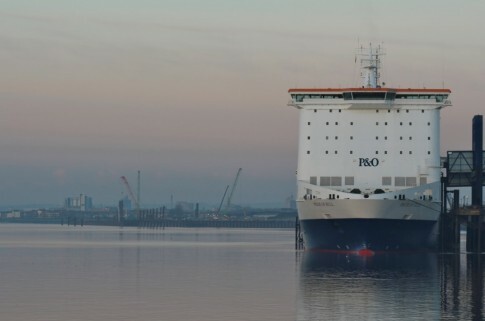 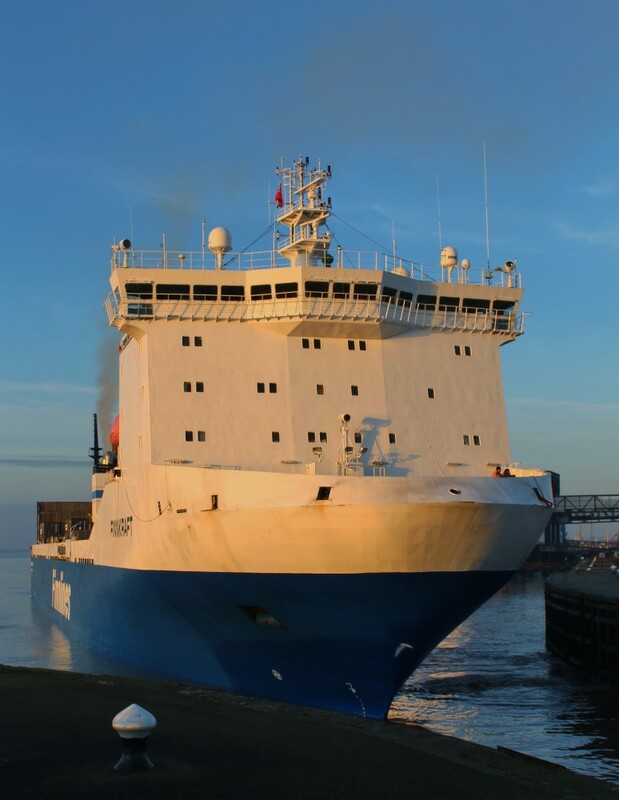 Whilst she is not taking tourist traffic during her spell on the Hull-Zeebrugge route, she can cater for more drivers than a conventional ro-ro. 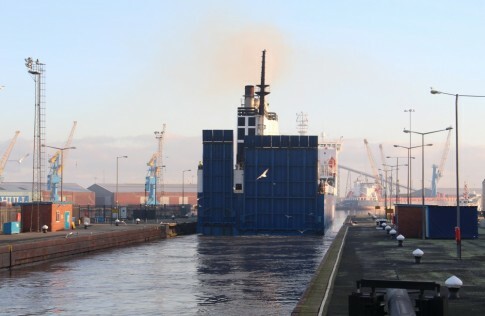 And, importantly, her dimensions make her a perfect fit for the lock entrance to the King George Dock in Kingston-upon-Hull. The Stena Traveller was an early ro-pax – indeed the term hadn’t come into common usage when she was delivered in late 1991 and the Shippax Guide devoted to her earlier sister, the Stena Challenger, still refers to them as ‘combis’. The pair were part of a series of five ships whose hulls were built at the Bruce shipyard in Landskrona, Sweden but the vessels completed at Fosen in Rissa, Norway. Fosen’s had originally won the order for a pair of vessels from Turkish Cargo Line and, as they by then already specialised in ship fitout, subcontracted basic construction to Bruce’s. 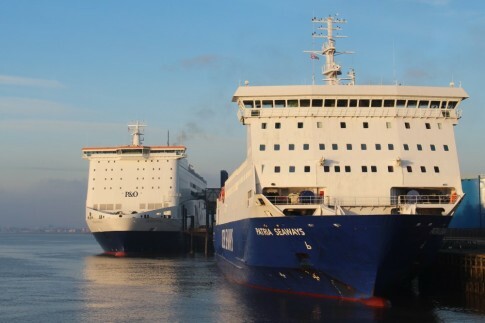 The price was very competitive and this did not go un-noticed by Stena RoRo who moved in to order a pair of heavily modified sister ships. 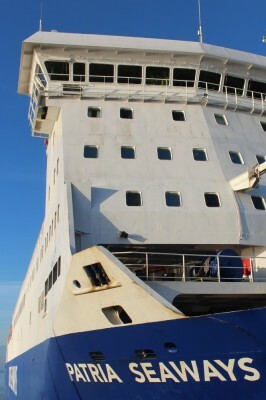 A further vessel became the Bergen of Fjord Line. The Stena Traveller in 1992. The Stena Challenger was completed with full passenger accommodation and sent to Sealink but the second ship had no defined role and whilst she was being built Stena RoRo reportedly touted her to Brittany Ferries/Truckline as an option for its Poole-Cherbourg route before they settled on the purpose-build which became the Barfleur. 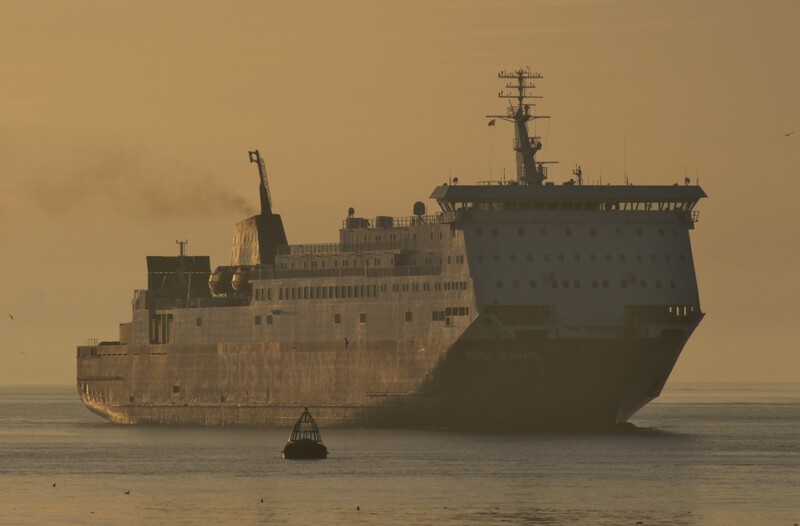 Eventually the Stena Traveller did head for the UK after delivery in 1992, operating for Stena between Harwich and Hook and as summer freight support on the Southampton-Cherbourg route. 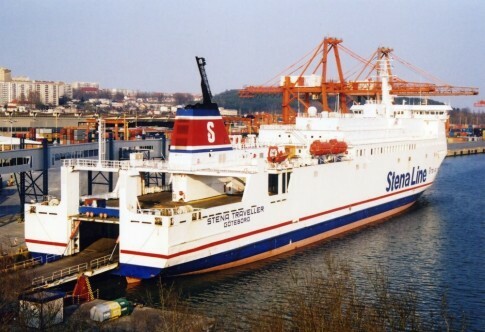 She then spent three years on charter with TT Line as the TT Traveller before returning to the UK to launch Stena’s Holyhead-Dublin freight route in late 1995. 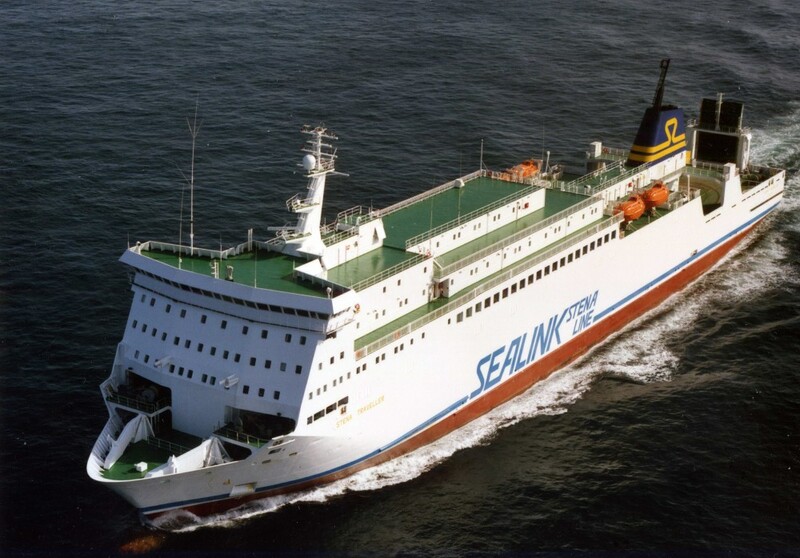 A further five years with TT followed between 1997 and 2002 before another two back with Stena Line running between Karlskrona and Gdynia. 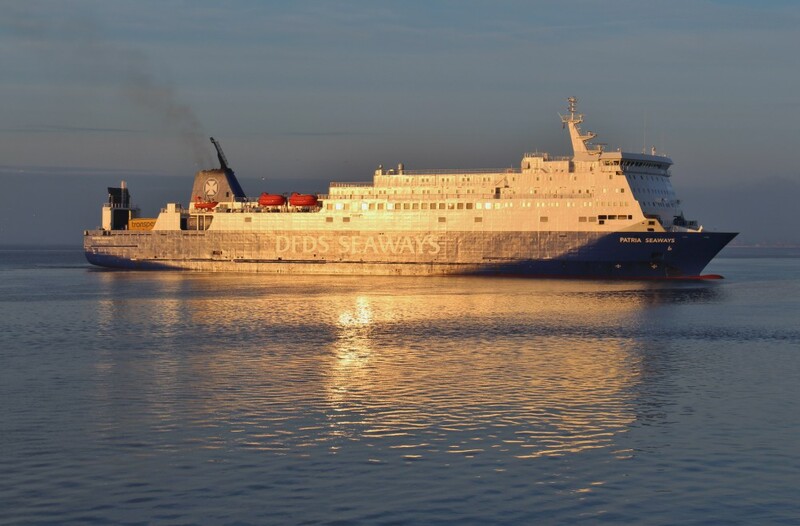 Stena sold her to DFDS in Spring 2004 for a reported SEK250m (which compared favourably to her build price 13 years earlier of approx. 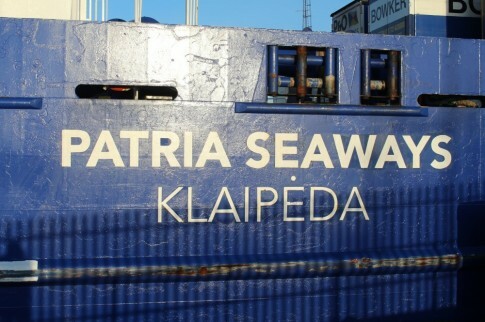 SEK325m). 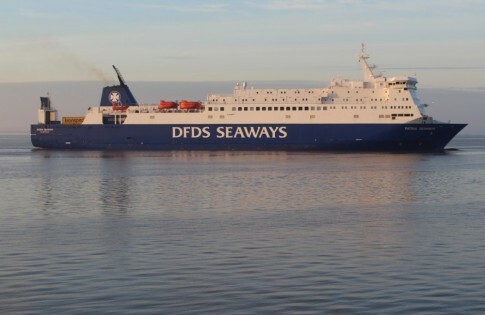 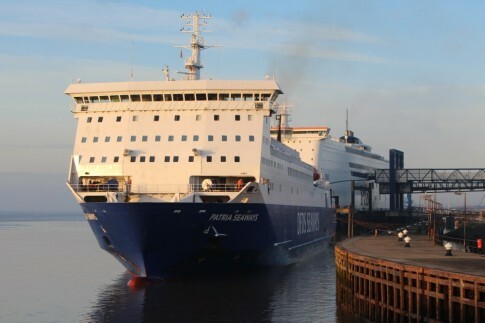 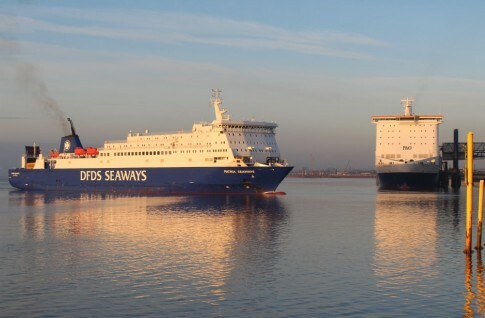 As the Lisco Patria and later the Patria Seaways the ship has done the rounds of DFDS’s Baltic freight routes before heading back to the North Sea on her P&O refit charter in early January this year. 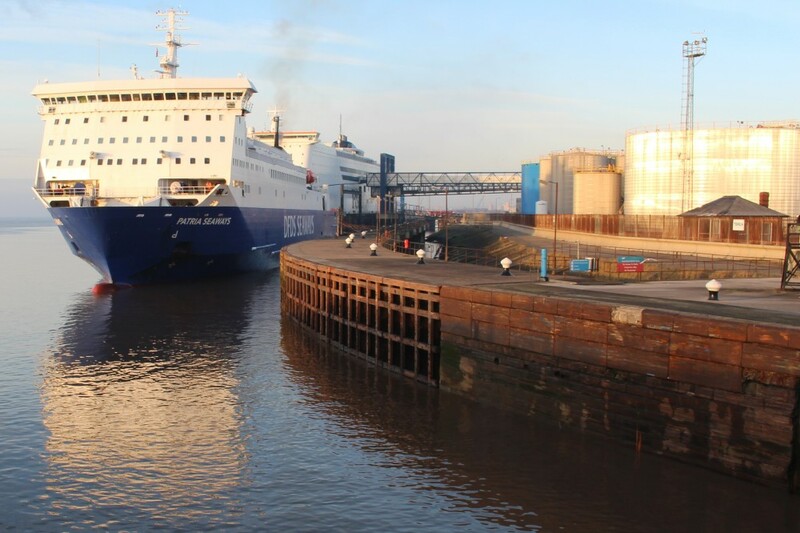 On Sunday morning, I headed across to the East Riding to watch her lock in after arriving on an overnight sailing from Zeebrugge and some pictures follow. 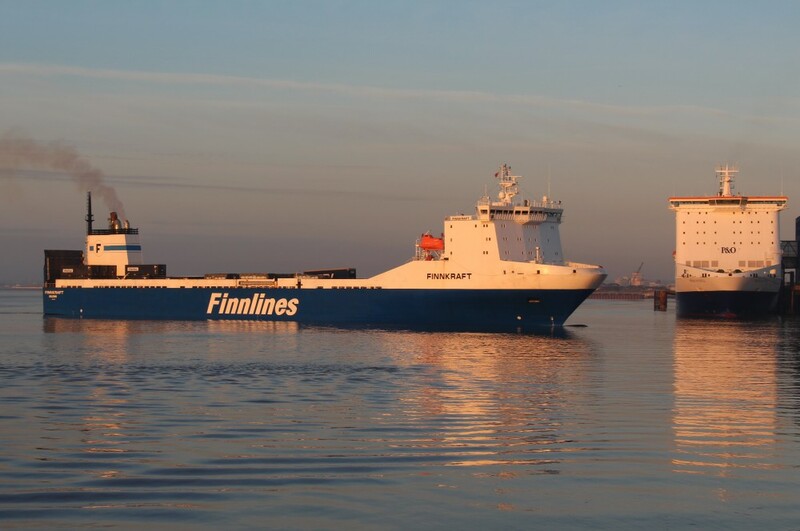 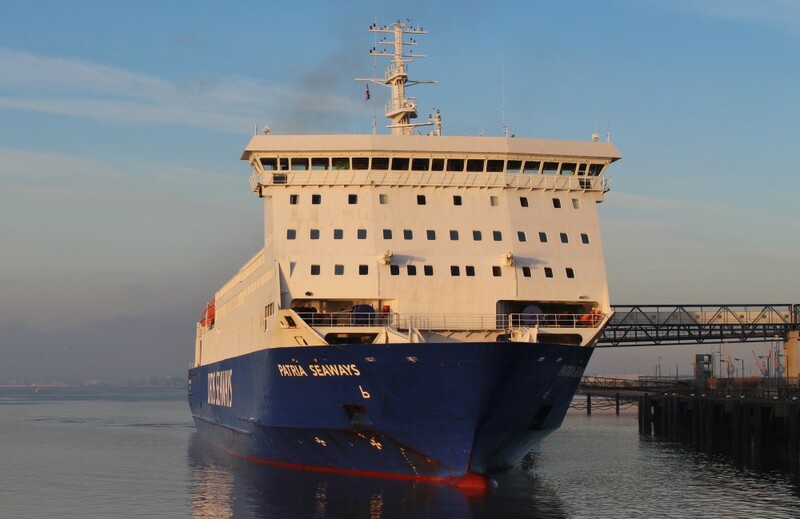 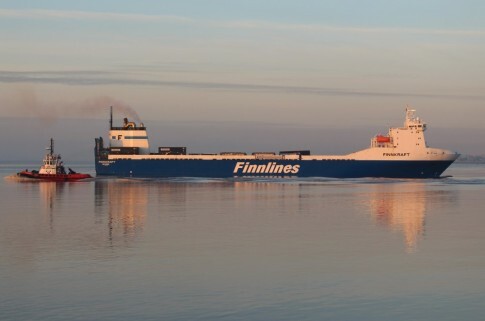 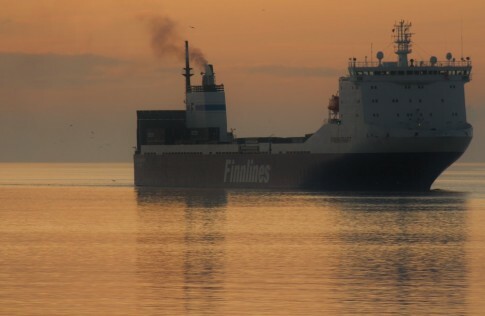 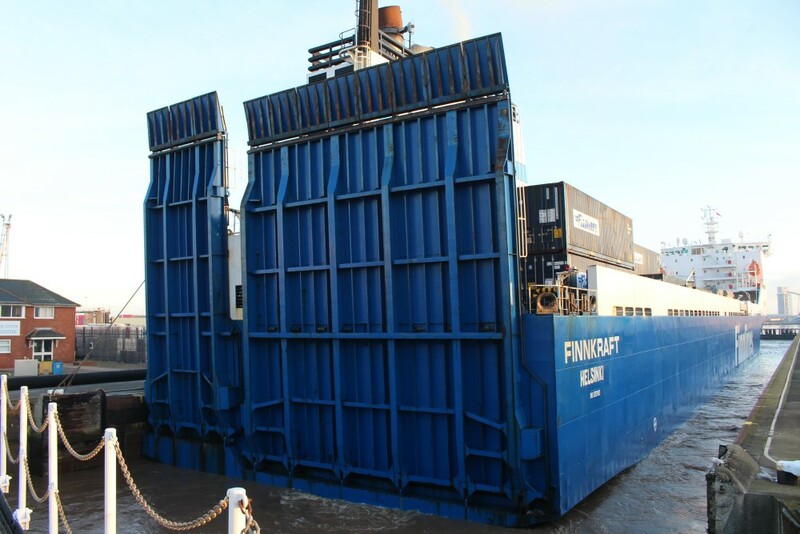 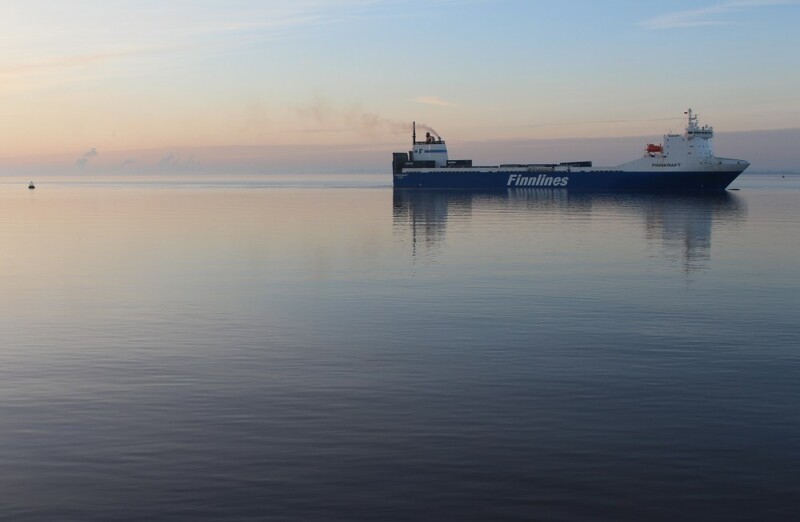 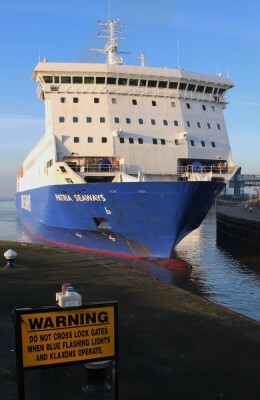 The ship had been very heavily delayed by rough weather on her previous northbound crossing but was essentially back on schedule by the time she approached the Humber – a scheduled 0900 arrival time was, however, delayed as Finnlines’ Finnkraft was the first to arrive at the lock entrance at the conclusion of one of her near week-long voyages from Helsinki. 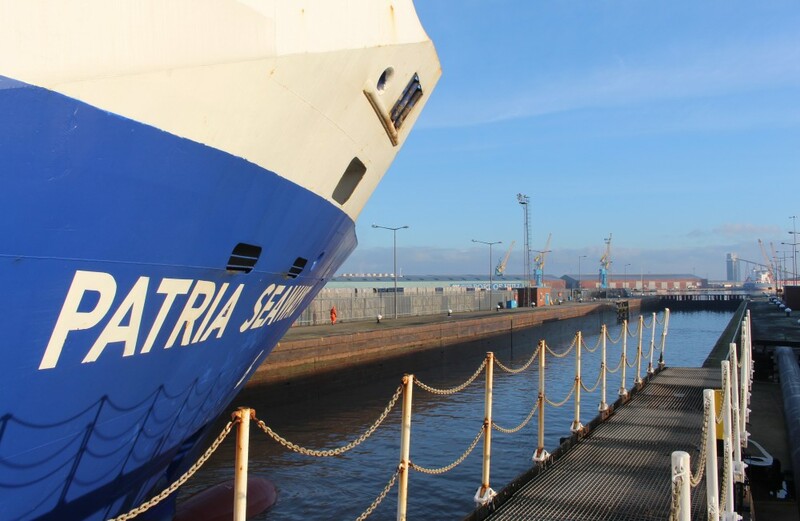 Rather than dawdle up the river waiting for the Finnkraft to clear, the Patria Seaways approached the mouth of the lock and parked herself alongside, just forward of the Pride of Hull on the river berth. 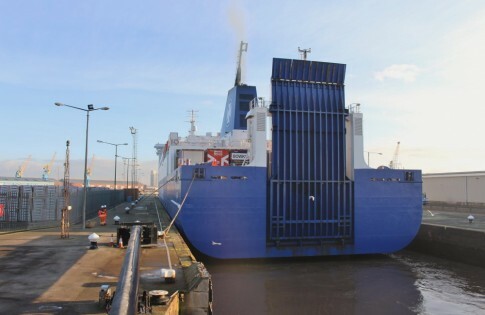 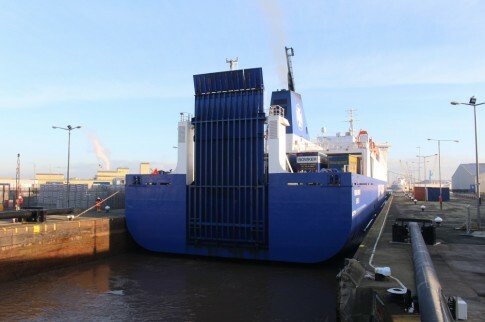 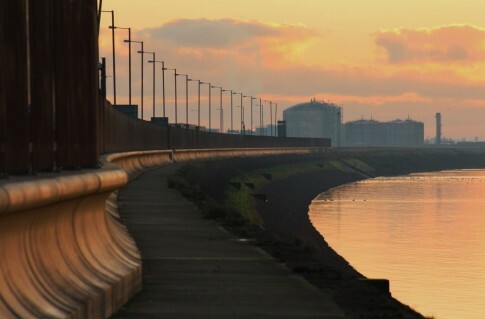 After half an hour of waiting, the ship entered the lock and eventually passed through to the location of the original North Sea Ferries berths inside the dock. 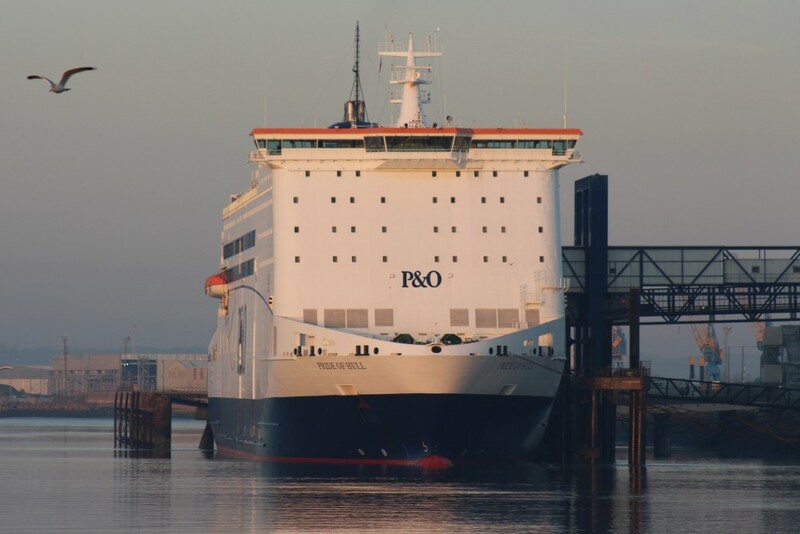 The Patria Seaways is scheduled to operate with P&O on the Zeebrugge run until a final Hull-Zeebrugge sailing on 6 February.